Philip is a Director within Suncor and leads Suncor's Enterprise wide Information Security Program. Within Suncor, Philip is responsible for maturing and enhancing the information security posture of the organization, and leads the cyber security incident response function. Previously, Philip was a Partner with Deloitte and was one of Deloitte's leaders in the Cyber Security practice within Deloitte's Enterprise Risk Services group. 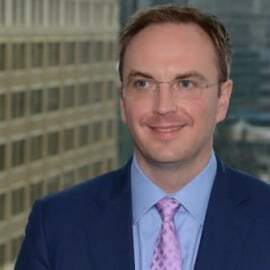 Within Deloitte, Philip was also a Global leader for Crisis Management for the Energy & Resources sector and was Deloitte’s Canadian leader for Cyber Security Incident Response. Previous to Deloitte, Philip was a sworn police officer with the Royal Canadian Mounted Police (RCMP) and the Calgary Police Service where he worked with technological crime, cyber security and incident response matters. With 20 years of diverse experience, Philip is considered a subject matter expert in responding to, managing and developing strategies around cyber security, digital forensic, incident management and organizational crisis issues.